I don’t think I’ll ever get tired of seeing ice on the outside of the windows. The office window on the second floor faces due west so it doesn’t get the morning sun. When it’s cold outside it can stay iced-up until mid-morning. 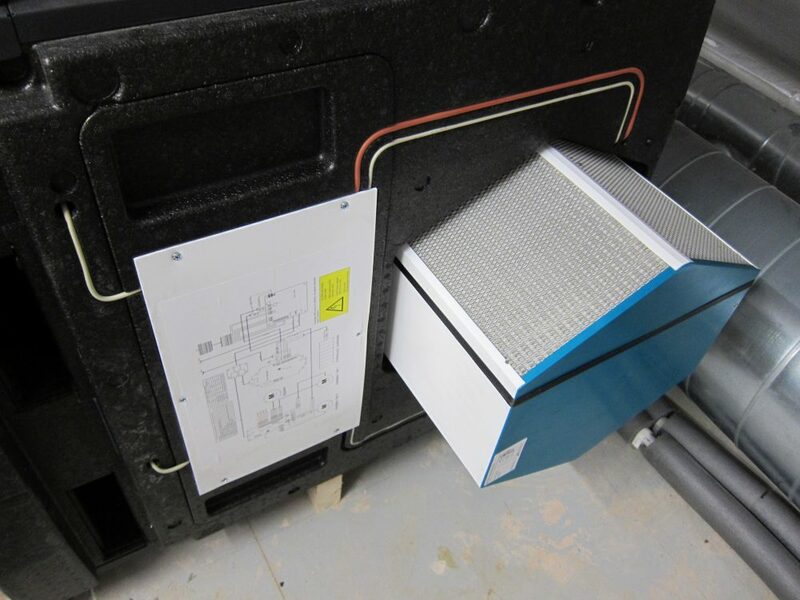 By default, the Paul Novus 450 Mehanical Ventilation with Heat Recovery (MVHR) unit comes with a “standard” heat exchanger which is very efficient at transferring heat but which is impermeable to moisture. This means that in winter it has a tendency to result in an overly-dry internal atmosphere. The reason is simple physics: cold air can’t hold much moisture so when drawing in cold, fresh air from outside and heating it up in the heat exchanger, the relatively humidity decreases significantly. If there is a lot of humidity already present in the house this is exactly what you want since it will help to moderate the humidity levels, but if the house is already quite dry this will tend to decrease the humidity. 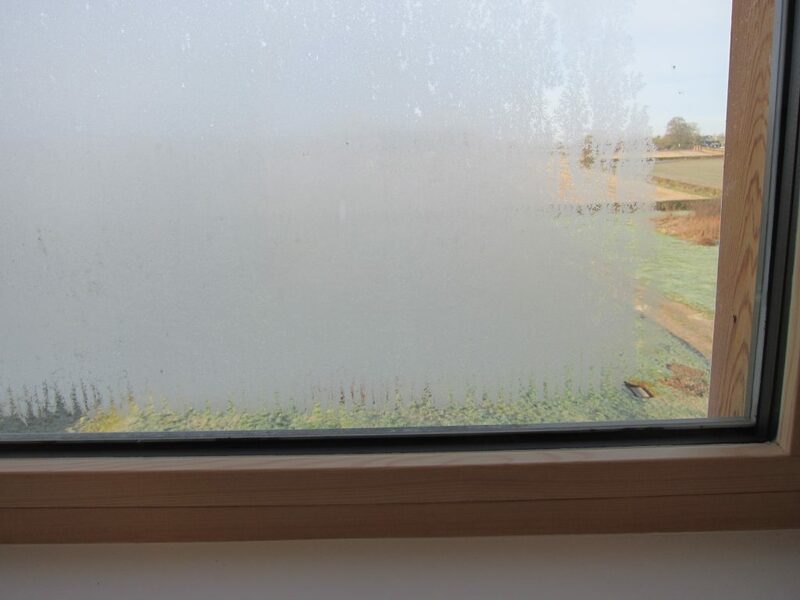 High levels of humidity are bad, resulting in condensation, mould etc. but low levels are bad too – see e.g. Slide 8 in this AECB conference paper by Alan Clarke which shows that below 40% there is an increased risk of health problems (mainly respiratory issues). 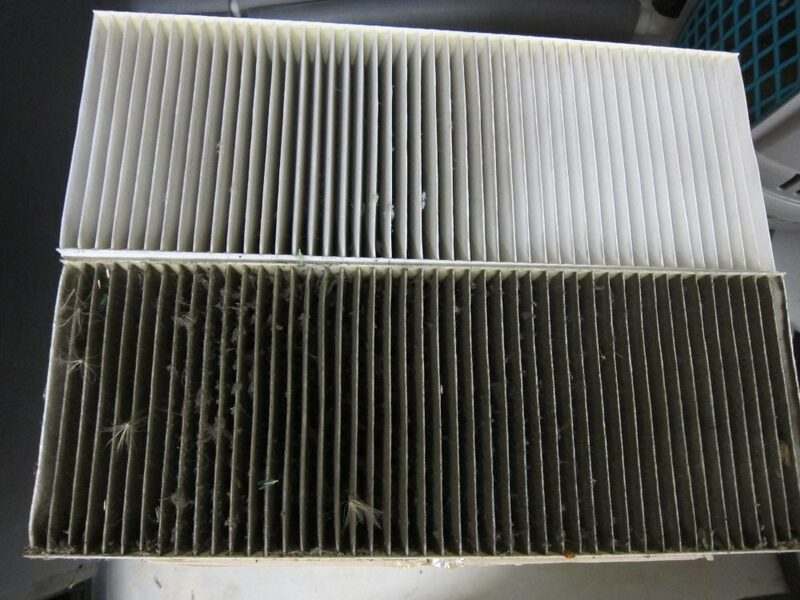 In the winter of 2017-18, with the “standard” heat exchanger, the humidity level stayed below 40% from November to May (i.e. while the heating was on) and dropped to 30% on a few occasions. Time to try the “enthalpy” heat exchanger instead then, for the 2018-19 winter season. The best time to swap it seemed to be while doing the regular filter change (still on a 4-month cycle). 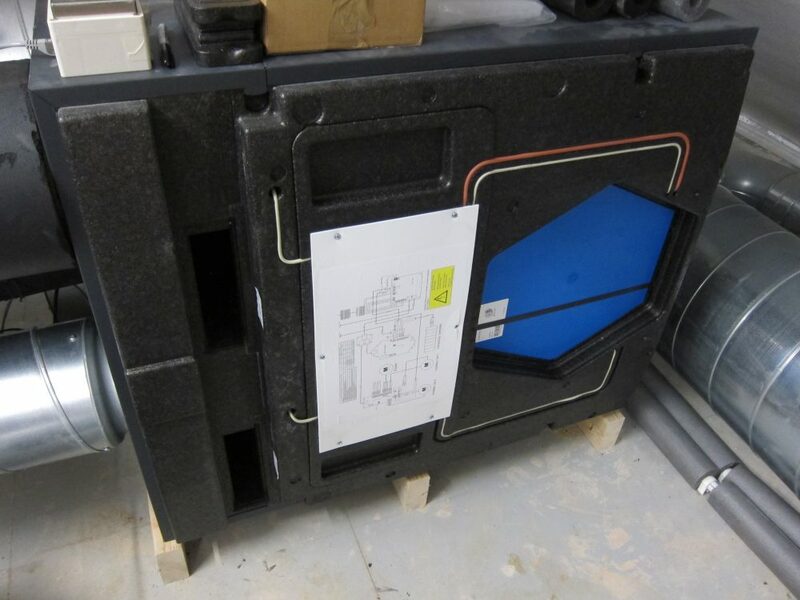 It’s an easy enough job – the front steel cover simply clips off and the heat exchanger is under a polystyrene cover cap and it just slides out. The new heat exchanger just slides in the same way. The old filters were pretty grotty, as usual.